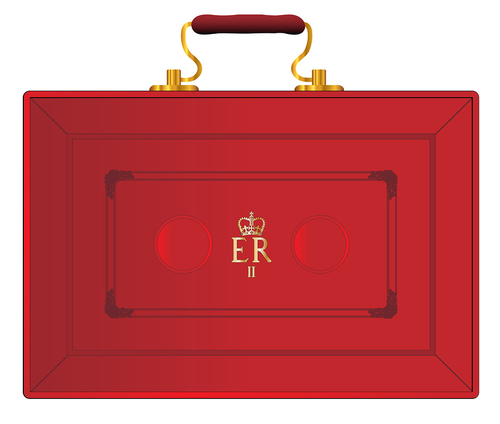 The Chancellor’s budget has been analysed by the the National Association of Specialist Dental Accountants and Lawyers, with an emphasis on how it will affect GDPs. Most, but not all will benefit from an increase in the personal tax-free allowance and raising the level at which higher rate applies. On the downside it has been confirmed that the business rates relief will not apply to private practices. This year’s Budget Speech was the first to be delivered on a Monday since 1962 and it had been suggested that the reason for this was so that the Chancellor of the Exchequer did not have to perform after PMQs on Wednesday, 31 October, thus avoiding inevitable newspaper references to horrors which too close an association with Halloween would have provoked. But, Charles Linaker, a tax partner with UNW, which has a dedicated Dental Business Unit headed by Alan Suggett, says that Philip Hammond need not have worried because, as it turned out, none of the pre-Budget horror warnings came to pass. In the run up to the Budget, there was speculation that pension tax reliefs would be attacked, that Capital Gains Tax Entrepreneurs’ Relief might be abolished and that private schools would have to charge VAT on their fees. All of this proved unfounded. Nor, despite continuing uncertainty over Brexit, did Hammond attempt to postpone or reverse measures announced previously. Dentists who operate via limited companies might have expected a reversal or, at least, a freeze on corporation tax rates, a measure which would have had the added merit of being difficult for Labour to oppose. But, both the current reduced rate of 19% and the further reduction to 17% from 1 April 2020 were confirmed. Indeed, on the personal tax side, Hammond brought forward by a year the start date for his previous commitments to increase the personal tax-free allowance to £12,500 and the basic rate income tax band to £37,500 (meaning that only if income exceeded £50,000 would the higher rate of 40% apply). These will now take effect from 6 April 2019 instead of 6 April 2020. Of course, not everyone has the benefit of the full personal allowance. The reduction in the personal allowance for those with ‘adjusted net income’ over £100,000 remains unchanged, meaning that for 2019/20 there will be no personal allowance where income exceeds £125,000. Furthermore, the threshold where income becomes chargeable at the highest rate of 45% remains unchanged at £150,000. Dentists contemplating major capital investment will be encouraged by the increase in the amounts eligible for 100% Annual Investment Allowance on plant and equipment from £200,000 to £1 million, applicable for two years from 1 January 2019. And those who might be considering constructing purpose-built practices, whether as companies, partnerships or sole practitioners, might find that their expenditure qualifies for a new Structures and Buildings Allowance. While the new SBA is hardly generous, being spread over 50 years at a rate of 2% per annum, nevertheless this is a new and potentially valuable tax relief, not least because it can be taken over by successors to the original practice which has incurred the expenditure. Some minor changes were made to the rules for Capital Gains Tax Entrepreneurs’ Relief but these are unlikely to affect any dentists contemplating retirement in the near future. Of more concern perhaps are proposed changes to the CGT rules on residential property from April 2020. Dentists with buy to let properties or second homes will be aware that any Capital Gains on their disposal will be charged at the higher rate of 28% (as opposed to 20%). But, in addition, from April 2020, it is proposed that the CGT on such sales will be payable within only 30 days of the sale, rather than the current payment date of 31 January following the tax year in which the sale is made – a dramatic acceleration of the tax payment date to the benefit of the Exchequer and the detriment of the vendor. Finally, on the theme of revenue raising, the Chancellor announced an extension of the “off payroll” working rules for individuals operating via personal service companies from the public sector to the private sector. While this should not impact the dental sector, it is a reminder that HMRC is still keen to have as many taxpayers as possible subject to the operation of PAYE and to recoup lost employer’s NIC, and that, in this context, the continuing self-employed tax status of dental associates cannot be taken for granted. And speaking of status, Philip Hammond will be hoping that his own position is more secure than that of his predecessor, Selwyn Lloyd, who delivered that earlier Budget speech on a Monday 56 years ago. For poor old Lloyd was sacked barely 3 months later by a panicked prime minister. In the run up to Brexit this is a fate Hammond really will want to avoid. NHS practices already get their rates refunded, so any relief under the Government’s latest proposals would only apply to private practices and my initial view, based on a release from the Treasury, is that such practices will not come within the scope of ‘small retailers’.